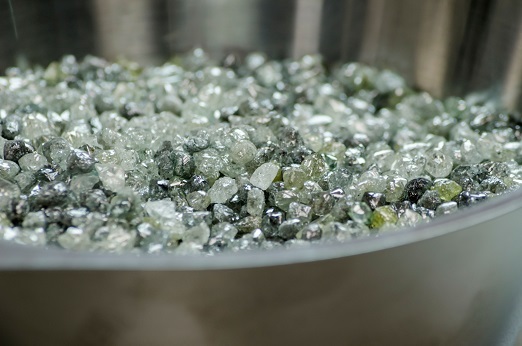 RAPAPORT... Zimbabwe Consolidated Diamond Company (ZCDC) expects a 46% jump in its rough-diamond production in 2019. The nation’s rough-diamond output will reach 4.1 million carats this year, up from 2.8 million last year, the miner told Rapaport News last week. In 2017, the company produced 1.8 million carats. Prices of rough should also increase as the state-owned miner implements a new diamond strategy it announced in December that includes offering rough stones through tenders, auctions or contract sales, it noted. The changes will expand its potential market and enhance prices, a company spokesperson added. ZCDC has also partnered with Russia’s Alrosa and China’s Anjin Investments on greenfield and brownfield exploration and mining projects in Marange, as well as other parts of the country, it said. The miners will join Murowa Diamonds, which is already operational, as the only mining companies apart from ZCDC to operate in Zimbabwe. Any other companies interested in mining in Zimbabwe will need to partner with one of the four companies currently approved for operation in the country, ZCDC added. Alrosa has stated that it will not mine at Marange, and will instead look at new, unexplored areas of the country. The government of Zimbabwe will own a 46% stake in the country’s diamond-mining operations, while a Community Share Ownership Trust will retain 5%, it said. The state plans to increase its share to 49%, but may lower that depending on the initial capital invested. ZCDC has also put new systems in place to ensure ethical standards in the industry and curb illegal activities, it said. “ZCDC’s thrust is to operate within the laws of Zimbabwe and to adopt best practices, tenets and auspices of corporate governance,” it added.